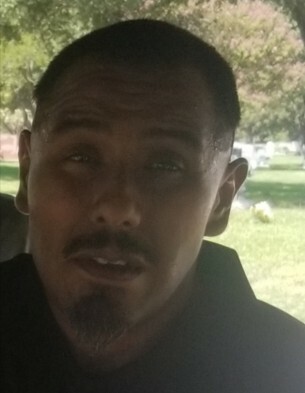 Newark~ Rigoberto “Rigo” H. Segura, 35, a handy man and mechanic went to be with our Lord on January 10, 2019 in Saginaw, Texas. The Family will receive friends 6-8 p.m. and the Rosary will be held at 7:00 p.m. Thursday at Hawkins Family Funeral in Ft. Worth.The Graveside service will be held 12:00 p.m. Saturday at Mt. Olivet Cemetery. Rigoberto was born September 18, 1983 to Encarnacion R. Segura and Josefina(Hernandez) Segura in Fort Worth, Texas. He was a hard worker in any aspect and worked as a mechanic mostly. He was the person you would call if you needed help with anything around the house, your vehicle or just wanted some support and advice with a job. Outside of his work ethics he also had a heart of gold when it came to being around and helping his family and friends. He was proceeded in death by his Father Encarnacion Segura and his Grandparents on both sides. Those left behind to cherish his memory are his Mother Josefina Segura of Newark; His brothers Greg Segura of Newark, Manuel Segura and wife Heather of Rhome; His sisters Cristina Segura of Dallas and Maria Segura of North Richland Hills; His aunt Rosa Vassar and husband Paul of Ft. Worth; His nieces and nephews Miguel Segura, Sheri Segura, Cristian Segura-Sarravia and DeAngelo Vernon Segura; He also left behind numerous other extended family and a host of friends.